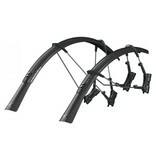 The ultimate clip-on mudguard set for road bikes. Raceblade set for max. tyre width up to 25mm. The smart, double hinged quick release fitting system also fits aero forks and is compatible with disc brakes. 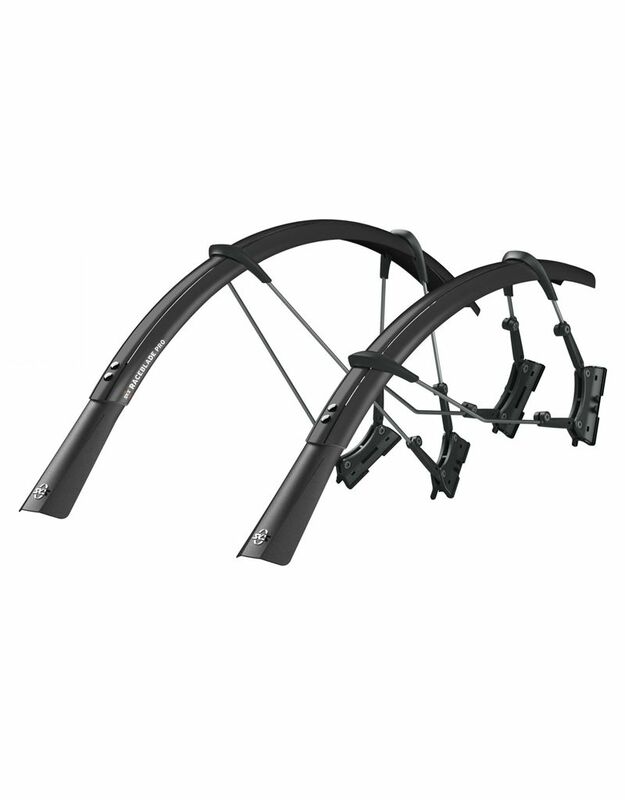 Mudguards can be perfectly adapted to the radius of the wheel by adjusting the length of the stays. Superlight extra long mud flaps give additional spray protection. Includes adhesive protection kit to avoid damaging the paintwork.